Sloane Helicopters is delighted to announce that John Parnell has joined the Company as Director of Sales and Marketing. John has had a wide-ranging 17 year aviation career starting as a UK military helicopter pilot, gaining invaluable operational and management experience. 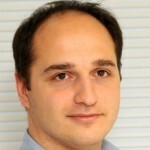 More recently, he has held senior executive helicopter sales and leasing positions. John was formerly the UK and Ireland Head of Region for AgustaWestland/Finmeccanica helicopters where he led all commercial activity and introduced new helicopter fleets in a variety of market segments including corporate, EMS, UK MOD and utility. Sloane Helicopters is the UK’s leading independent supplier of helicopter sales and services with the emphasis on quality, safety and customer care. 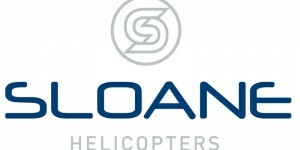 Sloane Helicopters is an AgustaWestland/Finmecannica Authorised Service Centre and UK and Ireland Distributor in addition to being a Robinson Approved Service Centre and UK and Ireland Distributor. Sloane Helicopters provides wide-ranging helicopter services including full management, maintenance and training from its headquarters in Sywell Aerodrome, Northamptonshire and base in Enniskillen, Northern Ireland.